Hey Plastic Addicts. Yesterday I did a Top 10 – Symbiotes that need to be made where I listed 10 symbiotes I wished to be made in a Spidey or Venom wave. The reason I did that was my excitement for the Venom wave that will be coming some time in the year, around the time of Tom Hardy’s movie. I already told you about the 2 official Venom and Carnage figure revealed and not long after that we got what seems to be the rest of the wave leaked via screenshot. (Note: this list is subject extreme changes.) The leak reveal that we might be getting Scream (Venom’s daughter created by the Life Foundation alongside just release Lasher), Poison (Either this version or these guys), Typhoid Mary (A Daredevil villain) and Spider-ham……………………if this one is true Hasbro listens to fans. This list is very very nice, especially that Spider-ham. However it got me thinking about how I would have designed this line and who would be in it so here is my Ideal wave for a possible second wave of Venom Marvel Legends. As always (since some people can’t seem to look at older Ideal Waves) here are the rules. 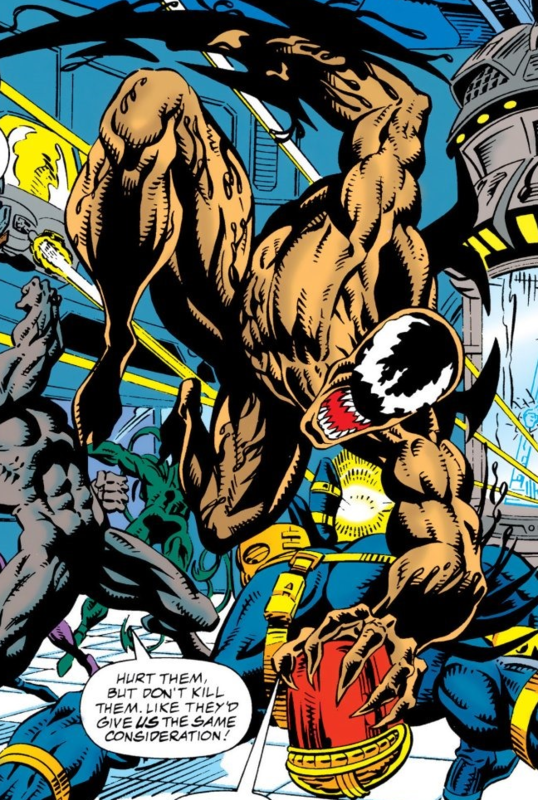 As always we start with the main character of the line, Venom. 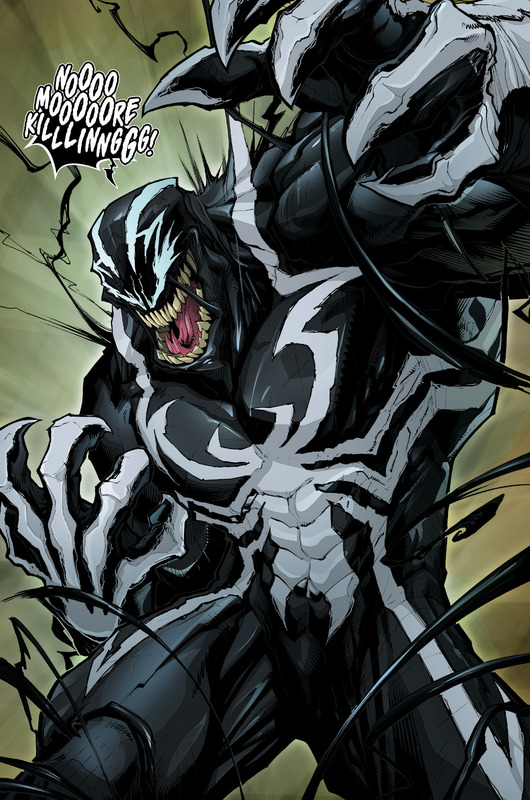 However instead of going with Flash Thompson I decided I want to go with the more recent version of Venom, Lee Price. The former Ranger, Price was a homeless man when the Venom Symbiote choose him to be the next Venom until Eddy Brock returned. Price’s run on Venom was a short one but this design is really nice looking. I think he could do with one of the bigger build like the Colossus or Omega Red builds. Next up we have the third member of the Life Foundation symbiote, Phage, the orange one. Like most of the Life Foundation Symbiotes he was bonded with an employee. He has the ability to craft bladed weapons, similar to his older brother Carnage. Speaking of Carnage I think they should use that mold with a new head and new removable blades that could attach to his arms. Why this instead of Agony and Riot? well we already have the big character in Venom and we might be getting Scream so let leave the other girl for another wave. Plus it is a easy repaint and stand in for Carnage. Taking up one of the 2 female slot we have Mania. The young neighbor of Flash Thompson while he was Agent Venom. When she was attacked, Flash tried to save her by using the Symbiote. A piece attached itself to her and she became Mania, Agent Venom unofficial sidekick. The main reason I want this is due to a custom I saw a few months back that made me look up the character. Since she is a teenage a resculpted Teenage build will work. The Daughter of Carnage, this techno-organic symbiote was created when a bionic arm was attached to Dr. Tanis Nieves after she lost her arm. The arm contained Carnage which forced her to let Kassidy escape. However, Carnage left behind a “child” in the arm, which combined with the tech in the arm and bonded with Nieves, becoming Scorn. While the figure itself could use the Medusa build, what would make it a great figure is if you could remove the arm and attach other machines, like the picture shown. Since the Venom line is just an extension of the Spider-man line, we need a Spidey. Well, since the first Venom wave did a highly request Alternate universe Spidey, this one should do the same. I decided to pick the Mangaverse version because 1. I love Manga and anime and 2. they really need to start using the teenage body more. I mean they only ever used him 3 times since they made it. Taking up the last position in this wave is someone we thought was coming in the Lizard wave, Demogoblin. Demogoblin is the demon that had possessed Jason Macendale. During the Inferno event, he was separated from Jason and became his own person. He eventually joined Carnage during the Maximum Carnage but eventually became kinder. This one is obviously a repaint of the Hobgoblin figure with new arms and legs. For the BAF we have the evil incarnate created by the Magus, Doppelganger. 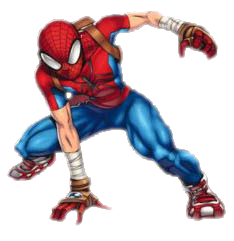 Probably the only one to survive, this monster version of Spider-man was one of Carnage’s Family during the Maximum Carnage arc as well as a boss in the game of the same name. Many people have been asking for some kind of figure based on that famous storyline, with Doppy being one of the most requested version. While I could have chosen the Carnage mini-series version, I think most people would want the Classic version. Well that my version of an Ideal Venom wave. What about you? Let me know below or on any of the social media sites. Next ToyFair 2018 – A whole bunch of Marvel Legends! !